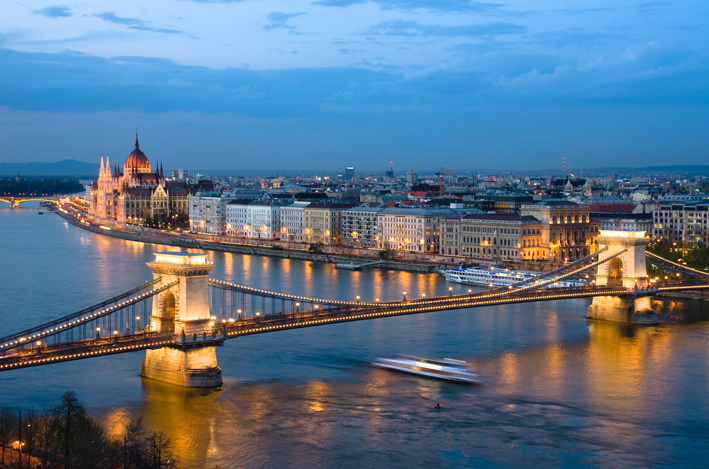 If you haven't been to Budapest, or you have but you don't know the city well you may be a little confused about where to begin your search for a Budapest property Investment. Having lived in the city for twelve years I feel that I know the city quite well. So I decided to write this brief guide. I have focused on the key investment districts of Budapest. 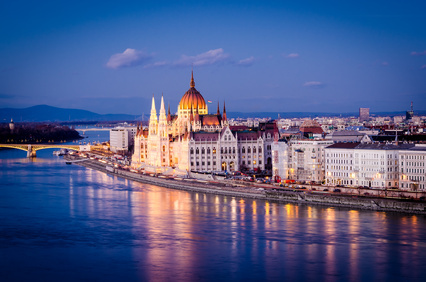 Budapest is a large, rambling city of 23 distinctly non-uniform districts, spread over a total area of over 200 square miles, making the city and its environs roughly five times the size of Paris’s 20 arrondissements. 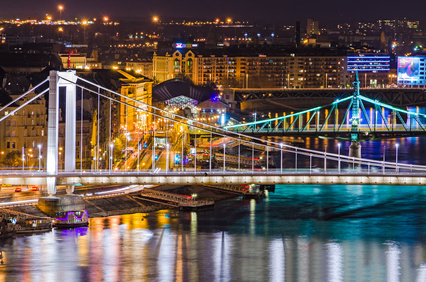 Faced with such a daunting and varied sprawl of a city, it is essential to know exactly where to look, and why, when considering purchasing Budapest property. The district guide that follows therefore aims to remove the guesswork from the process of investing in such a city. At Gateway Properties we are primarily, though by no means exclusively, focused on Pest’s inner city districts; these are areas of the city that we have intimate first hand knowledge of, as well as being the areas that we feel offer the most interesting and potentially lucrative property investments currently available. Whilst this guide offers some idea of what to expect from the various listed districts, it should be noted that, as with any city, a simple district by district guide can gloss over the complexities of each area, and we must stress that whilst districts do tend to have clear defining characteristics, they are not necessarily exclusive characteristics; the fÍn de siécle architecture so dominant in the 5th district for instance, can also be found in the 8th, 6th, 7th and 9th districts, just as new builds can be found in all downtown districts. Simply put, at their borders each district effortlessly bleeds into the next, with little to announce the change save a street sign. 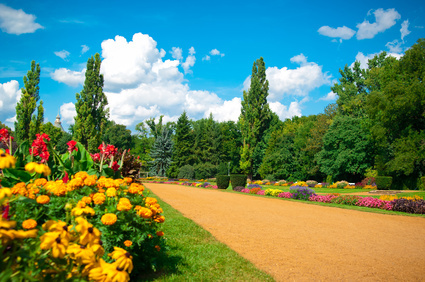 This is particularly important to know when selecting property for investment, not least as prices can vary wildly simply by virtue of which district each side of a given street falls, in spite of the fact that the property may be identical in construction and amenities on both sides. This point is particularly worth remembering when considering property in the 8th and 5th districts for example - two districts that border each other, yet where prices can vary as much as 50% per square meter. One is synonymous with inner city elegance, the other with inner city grit; the truth however lies somewhere between and potential bargains can therefore be overlooked by buyers sticking rigidly to a pre-chosen district. Notwithstanding the latter, this district guide merely attempts to showcase the principal features of each area, and to give an overview of the types of property available in each and why we feel that properties in these areas of Budapest constitute exciting investment opportunities. Alternatively contact me at our Budapest property enquiry page. Just ask a question and I or an experienced member of staff will get back to you the same, or at the latest the next working day. 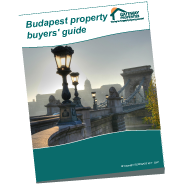 You may also find our Budapest property and Hungarian Property buyers guide useful. Budapest’s 5th district is quite simply the beating heart of the city. The ‘Belváros’ (inner city) is one of the smallest of Budapest’s districts in area, but is undoubtedly the most important in terms of all round contribution to the country and economy - government, business, tourism and cultural life are all focused here and a 5th district address is a much sought after status symbol. Nestling up to the 6th, 7th and 8th districts to the east, the 13th to the north and the 9th to the south, this district is also bordered by the Danube to its western edge, offering stunning views across the water of the Castle District and Gellért Hill. The 5th is home to Miklós Ybl’s striking neo-gothic Hungarian Parliament building and the Basilica, many critical government ministries and most of the city’s five star luxury hotels. 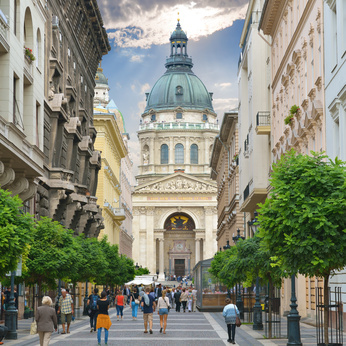 In addition it is also the location of the city’s premier outdoor shopping area, Váci utca and Vörösmarty tér, and is also the most accessible of all Budapest’s districts, with Deák Ferenc tér serving as the hub of Budapest’s metro system. And yet whilst it hums to the bustle of neighbourhood markets and restaurants and exists as Hungary’s Central Business District - modern glass and steel monuments to business jostle for space next to turn of the 20th century Beaux Arts palaces – the 5th also leads a double life as an oasis of calm right in the middle of the commotion of downtown Pest. Off its main thoroughfares, the 5th is typified by often sleepy residential streets, and hidden treasures such as the city’s main Serb Orthodox church dating from 1750, and at Károly Kert, a Victorian style railed garden that would not look out of place in London’s Knightsbridge. It is, therefore, no surprise that this district offers some of the best examples of what many consider the classic Budapest apartment – spacious, high ceiling flats with herringbone parquet floors and many original fixtures and fittings housed in some of the most opulent and lovingly maintained late 19th century buildings in the city. The 6th district is the 2nd most central district in Budapest. Running through it is magnificent Andrássy út, often referred to as the Champs-Elysees of Budapest. This impressive boulevard is approximately four kilometers long and ends at the stunning Heroes Square. Running beneath Andrássy is continental Europe's oldest metro line. The yellow line was constructed in 1894 and has recently been renovated and restored to its former splendor. Andrassy út is highly a prestigious location for offices, embassies, luxury shops, restaurants and apartments. Indeed many embassies are located on or just off Andrassy. Louis Vuitton recently also opened a store there too. The 6th also contains the golden triangle. This part of the city is very central and the rental market here is very strong, and is thus popular with those investing in Budapest property. The three roads Andrássy út, Bajcsy-Zsilinszky and Teréz Korut form the triangle. There are no fewer than five metro stops on sections of these that border the Golden Triangle. Also Liszt Ferenc tér, Budapest's vibrant pedestrian square, which is packed with classy bars, cafes and restaurants, is walkable within 2 to 10 minutes depending where your starting point is from within the triangle. At the turn of the century, Gyula Krúdy described Király utca, lying on the brinks of Terézváros and Erzsébetváros, as “the most Pest-like street”. This street was also the borderline of the ghetto set during the Arrow Cross Party administration in December 1944. In 1900, 70 % of the population in Király utca was Jewish. The Gozsdu-yard, was also an important commercial and business street. The street level of the 230 meter long passage was filled mainly with the stores of goldsmiths, jewelers and metal-workers. West End City Centre, Central and Eastern Europe's largest shopping mall is also just on the other side of Teréz körút. The 7th district or Erzsébetváros (Elizabeth Town) to give it its full name is, after the 5th, the second smallest of Pest’s inner districts. The district takes its name from Erzsébet körút, the stretch of the inner city ring road (the nagykorut) that bisects it. To the west the district runs into the 5th at Deák tér, the hub of Budapest’s transport system, and to the east, the mainly residential and commercial 14th district. To the north it is bordered by the 6th district and to the south, the 8th. Inside the inner ring road section the district is famous as the historical Jewish centre of Budapest and there are several synagogues to be found there. 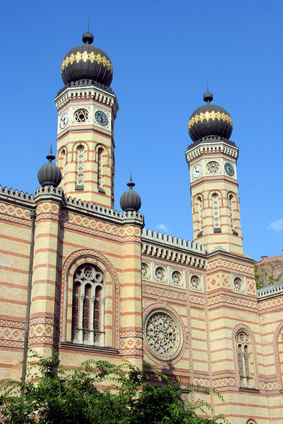 The most striking is the central synagogue on Dohany Utca, the largest in Europe and after the Temple Emanu-El in New York City, the second largest functioning Jewish temple in the world. The 7th is an area that has experienced much renovation and redevelopment in recent years, and given its proximity to the very heart of the city is increasingly an area of choice for young professionals. The rental market is particularly strong in this district. Classic period buildings surrounding park squares are a regular feature of the 7th, and developers are also constructing new apartment blocks in and around the district’s main thoroughfare, the newly pedestrianised Király utca. As such the 7th is an area that offers the chance to invest in classic Budapest property, or in new off-plan developments. Other recent notable developments in this district are two newly renovated hotels on the main Erzsébet körút, the five star Hotel Grand Corinthia, and the peerless New York Palace, a luxury five star hotel complex lavishly renovated by the Italian Boscolo Group. The area is also increasingly popular as an entertainment district, with many restaurants, bars and clubs to be found here. Further along the nagykorut from the 7th is Budapest’s 8th district, or Józsefváros (Joseph's Town). The 8th is one of the largest of Pest’s city districts and as such varies greatly in quality of buildings and investment opportunities. It is traditionally a working class residential area of Budapest, and in parts is neglected. However, the local council and the Budapest City Council is currently investing heavily in the 8th and certain parts of this district offer some of the most potentially profitable property investments currently available in the city. At its most central section, the 8th is literally across the street from the city’s most expensive and beautiful district, the 5th. Thus, fantastic investment opportunities in classic Budapest buildings abound in the 8th, with the area behind the city’s ELTE university and National Museum around Kálvin tér – which will become the new interchange station for the 4th and 2nd Metro lines – offering some of the city’s most stunning turn of the century property at considerably lower prices than comparable buildings in the neighbouring 5th district. British venture capital firm Active Asset Investment Management purchased the newly constructed Aréna Plaza complex for €360 million, a development that when completed will surpass the 13th District’s West End City Centre as the largest shopping and entertainment mall in Central and Eastern Europe. The 8th is also home to Hungary’s national stadium, The Ferenc Puskás Stadium, a 70,000 seat football ground named after Hungary’s most famous footballer, and the scene of England’s worst ever loss – 7-1 to Hungary in 1953. In addition the 8th is notable for Budapest’s stunning Eastern Railway Station, and Kerepesi Cemetery, one of the largest and most famous cemeteries in Hungary. In summary, the 8th has for many years suffered from a lack of investment and until recently has been typified by decrepit buildings and scruffy streets. Whilst the process of regeneration and transformation will not be instant, the long-term commitments made by private and public investors to the district are already bearing fruit and the area has a great future. As such, parts of the 8th represent perhaps the best long term potential for increased property values in the next ten to 20 years. Development of the 9th district is rapid. 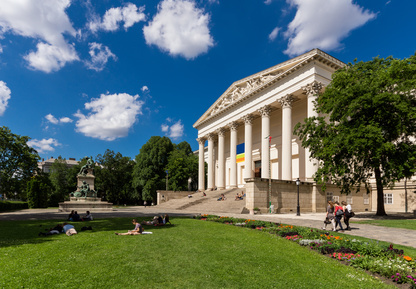 It is home to the National Theater and the Palace of Fine Arts which are both to be found on the River Danube. AIG are one of several developers who are building Class 'A' office buildings near to the Danube. The section of the Danube between Pet?fi Bridge and Lágymányosi Bridge was formerly an industrial area containing mills and factories. With the decline of heavy industry this area is now being regenerated in way which might be compared to London's docklands. This district is surrounded by universities, which have created a buoyant rental market for Budapest property investors. A good example is the world famous medical university which caters for medical students from all over the globe. This district is also home to Ráday utca, a very popular pedestrian street with many bars, restaurants, and cafes. In summary the 9th district is benefiting from vast amounts of inward investment. It is rapidly developing and is very up and coming. The thriving 13th district is where the highest concentration of class 'A' office buildings are located. Running through the middle of this district is Váci út, other wise known as the office corridor. Here dozens of international companies are based, companies such as. The 13th is Budapest's main business and commercial centre. West End City Centre can also be found here. This is the largest shopping mall in Central and Eastern Europe which houses many international retail brands, multi screen cinema complex, bars, restaurants etc. The district is bordered by the Danube and 5th, 6th and 4th districts. 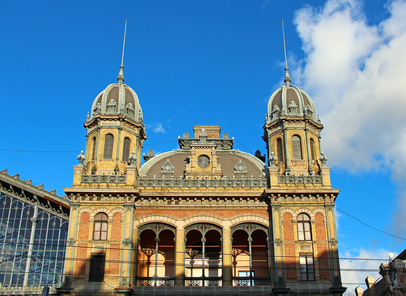 An event which will be a major boost to the Budapest property market in the 13th district is the recent announcement in December 2007 that the new "Hungarian Whitehall" will be constructed behind the beautiful Nyugati Railway station. A building, incidentally built by the same company who constructed the Eiffel tower. This new government district will house many government ministries and is due for completion in 2009. The announcement has already increased demand for residential property in the surrounding parts of the 13th and 6th districts. Property developers often have more space to build residential buildings in Budapest’s 13th district. Larger plot sizes are more readily available here than they are in other key investment districts in the Budapest property market. The main reason for this is that the 13th district was once one of the major industrial districts in Budapest. As heavy industry declined in Hungary, largely since the fall of communism in 1989, the factories and warehouses are no longer needed, and are instead replace by office and residential buildings. Back to our Budapest property home page.